Today is the last day of the Killer Character Blogfest hosted by E.R. King and Deana Barnhart. Today we name the antagonist that haunts our dreams. I had a hard time with this one because my original choice, while technically a bad guy, is someone I actually find myself rooting for. Yikes, I root for a serial killer. Well you can probably guess who I am not choosing (DEXTER). In keeping with the Killer Characters theme, I am going with a really evil antagonist. This character kills for no reason. I am talking about Anton Chigurh, the indescribable monster-villain created by Cormac McCarthy in his novel NO COUNTRY FOR OLD MEN. Javier Bardem does an outstanding job playing the character that won him a much deserved Oscar for Best Supporting Actor. "You cannot really understand him completely," Bardem said of his character. 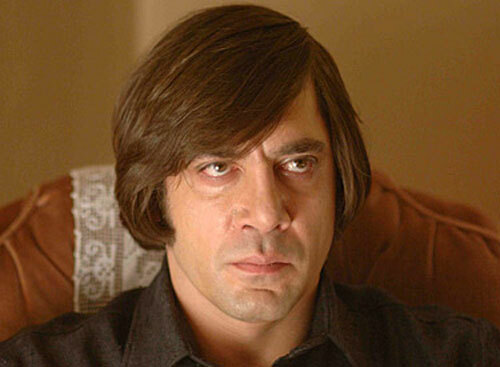 "The good thing about Anton Chigurh is that he can't be described. He's not even described in the book by Cormac McCarthy. He doesn't need to be explained." If you have not read No Country for Old Men, better yet, if you have not seen this film then you have not come face to face with pure evil. You don't understand his violence. You cannot pinpoint it. There is no reason behind it. You cannot escape it. 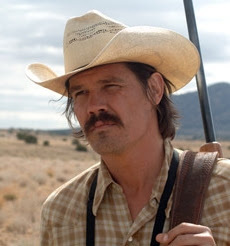 He's "the devil incarnate," "No Country" co-star Josh Brolin said in a press interview released by Miramax. "You don't understand [his violence], you can't pigeonhole it. You can't categorize it," Brolin said. "He's very malleable, but not malleable on your terms, malleable on his own terms." 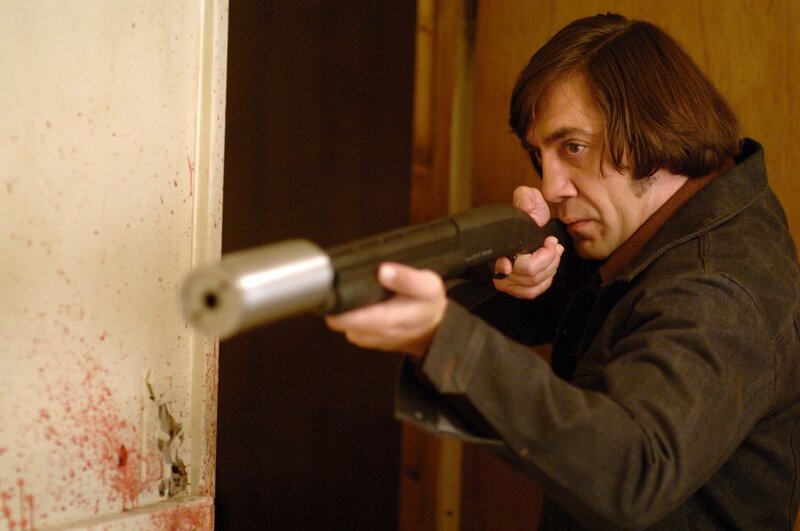 Watch this clip from NO COUNTRY FOR OLD MEN and judge for yourself. If there is a scarier dude out there; I have not read about him. My favorite scene has to be the coin toss scene as it demonstrates Anton Chigurh's indiscriminate, unfathomable lack of conscience. His fascination with coin flips show us that his threats are never spelled out, his motivations never known. That's his power. It's his choice whether you live or die and he leaves it up to the random toss of a coin. Your life doesn't matter. It is his game. And because Javier Bardem is so convincing as Anton Chigurh, here is a short clip of Javier talking about the movie. Take a look at how completely different Javier is than his character Anton Chigurh. Happy Halloween Everyone. I want to thank you for visiting my blog and reading my choices for the Killer Character Blogfest. Take a look at who I picked as my favorite literary protagonist and my choice for best supporting literary character. OMG, YES YES YES!!! He haunted me for DAYS after watching that movie!! GREAT choice! And gosh do I love Dexter too! Happy Friday! 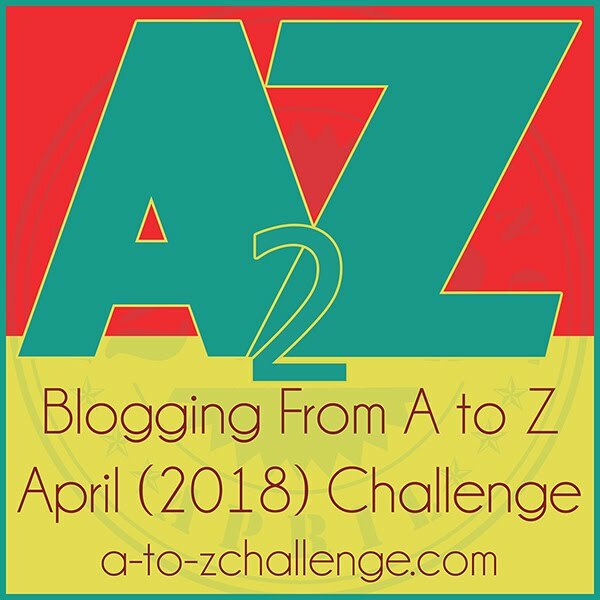 This blogfest was a great way to meet new literary characters and open up new books for us to consider ... Your choice works well with the Halloween weekend! I can't watch scary movies. I don't sleep for days, but I do love Javier. He's so delish. And Josh isn't bad on the eyes either. My first thought was Mr. Hyde from Robert Louis Stevenson's "The Strange Case of Dr. Jekyll and Mr. Hyde." Then Iago from "Othello" and Professor Moriarty from "Sherlock Holmes." Anton is a psycho, and an excellent choice. You nailed it! Javier is chilling. I haven't watched/read this because just what I have seen scared me to death and I concluded that was sufficient, which means your choice was definitely spot on. Great post! I agree with Tasha's comment, I have not read or watched this either for the same reason. So I echo her comments completely! It seriously sounds like a great flick. I've never seen it. As much as I would like to, I hardly get out to movies. But wow, some of those guys are kind of creepy. Fabulous choice! Senseless evil is terrifying. Great job! Thanks so much for participating in our blogfest! Excellent film and choice! He was pure evil. He had a code, but it was evil as well. You should watch the film, Heaven. I seldom recommend a movie over the book, but Javeri Bardem is awesome. Excellent choice! And you're so right--Javier Bardem does a fantastic job. I love this movie... Creepy as hell, but I love it. Thanks for the post, and congrats on your blog: love it too! I haven't read it either but Javier is excellent at being bad!